We recently had the privilege of spending three nights at the wonderful Porcupine Hills guest and olive farm in Botrivier. One of our family’s goals for the year is to spend more time in nature. 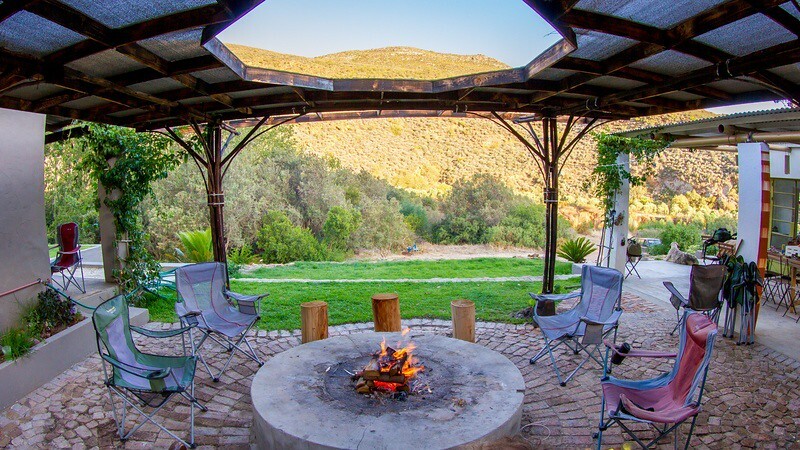 Porcupine Hills has more than met this requirement where it sits nestled in the mountains next to a stream, surrounded by acres of natural beauty of the larger Diepklowe Private Nature Reserve. This versatile guest farm has something for everyone with their luxury as well as rustic collection. We stayed in Klipboks, the biggest of the properties in the rustic collection with its four double/twin bedrooms. It is a fantastic self-catering property with a unique shabby-chic style perfect for groups, team building or family get-togethers. The property has electricity provided by solar panels but true to its rustic style there is no electrical equipment such as kettles, toasters or an oven. Instead, the central cooking area is situated outside under a well-equipped covered area with a gas stove and a massive firepit. A long table on the veranda is perfect for having shared meals. We spent two nights sitting under the starry skies next to the crackling fire with the full moon peeking out behind the mountains – absolute bliss. Our children literally spent all day playing outside, despite the cooler winter weather. 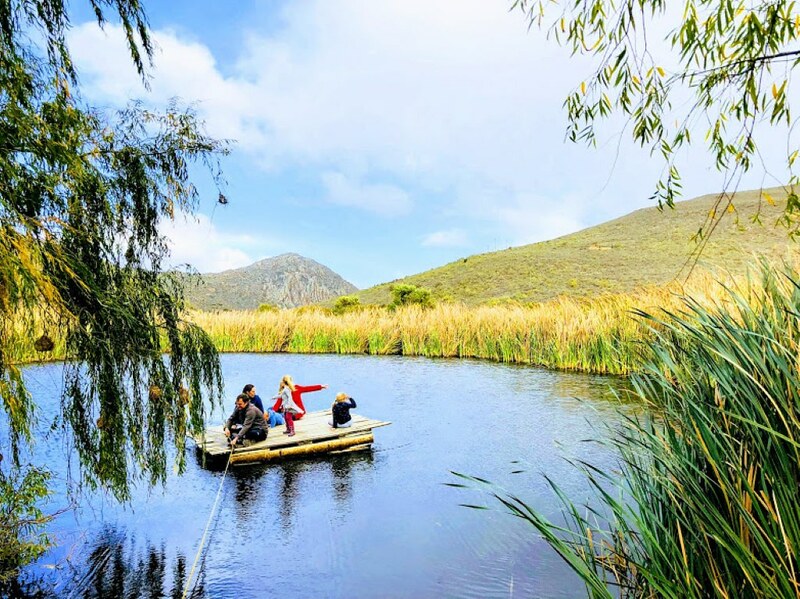 Within walking distance of Klipboks is a dam with a raft as well as a canoe, a serene forest path and in the woodland wedding area there is a wonderful swing hanging from a tree with a bridge and a stream. 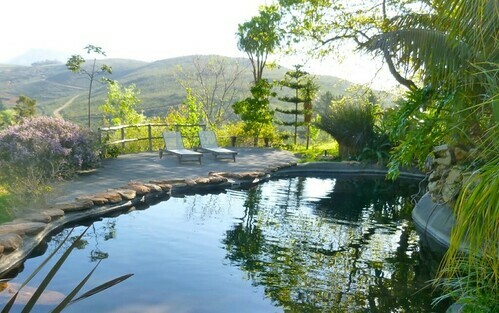 There are two plunge pools at Klipboks that are perfect for summer. Also in the rustic collection are three smaller self-catering cottages dotted along the stream and hidden amongst the trees, each with its own charm. The luxury collection has two fantastic options. Eyrie House offers luxurious and stylish accommodation for 6 in three en-suite bedrooms. It has a stunning private pool and lawn area with wonderfully serene views. The Farmhouse sleeps 4 in two en-suite bedrooms with views of the cliff and surrounding hills. The private swimming pool is situated in the luscious garden. Porcupine Hills is located on the stunning Van Der Stel Pass and is within driving distance of Hermanus if you wanted to make a daytrip to the coast. Wildekrans wine estate is only 25 minutes away, offering exceptional Pinotage, a great selection of meals and a play area on the large lawn outside. 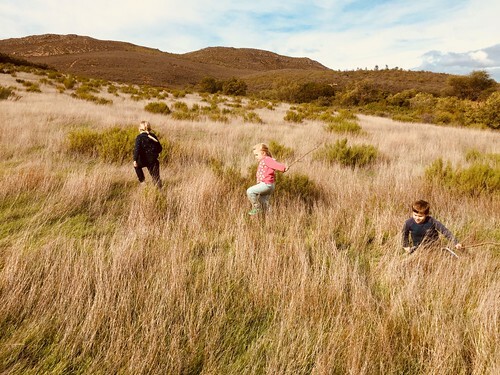 Whether you want something rustic, surrounded by the sounds and smells of nature, or something a little more luxurious, Porcupine Hills definitely earns a firm place in our top 10 family destinations near Cape Town. It is only 1.5 hours from Town so perfect for weekend breaks or longer, lingering visits where your children can get back to nature and you can spend quality time with family and friends, off the grid. Enjoy a 20% off special this winter from the 16th of July to the 30th of August 2018! Equipped with heaters and indoor fireplaces it is a wonderful break even in winter.